In March I published a piece titled, “Reimagining Retail: Nordstrom” in Chain Store Age. The point was to take a traditional retailer, showcase the clear need for change, and suggest a path forward. The first thing I suggested is that Nordstrom open the door to new business models. 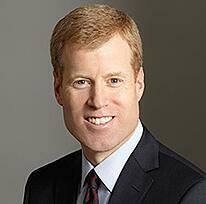 Last weekend, Erik Nordstrom announced that Nordstrom will be opening new concept stores that don't have merchandise. Truly embracing omni-channel, Erik said, “There aren’t store customers or online customers—there are just customers who are more empowered than ever to shop on their terms.” At roughly 3,000 square feet instead of their typical 140,000 square feet, the new stores will focus more on experiences. There will be space for manicures, onsite tailoring, and a bar to order food and drink. With only 8 dressing rooms, the in-store clothing experience focuses on stylists having selections and looks on-hand for people to try, but the stores will not carry inventory. For purchases made by 2pm, same-day delivery is promised. But this strategy is incomplete. To really reinvent their business, Nordstrom will need to move beyond creating a better in-store experience with fulfillment from existing inventory at nearby stores. Nordstrom needs to adopt the platform business model. "Encourage the CEO to enlist whatever expertise he or she needs to reimagine how the company could be rebuilt around a digital platform. The clear trend is toward serving individual customer needs through the use of digital platforms that incorporate algorithms and AI and are connected with ecosystem partners. The CEO should be able to conceptualize and explain the specifics of how the platform model would work, and what new capabilities the company would need to build it, how soon, how the ecosystem would change, and what milestones will show that the transition plan is on track..."
Platform business models rely on the ability for the operator of the platform (which could be Nordstrom) to drive more exchanges of products and services between customers and suppliers. 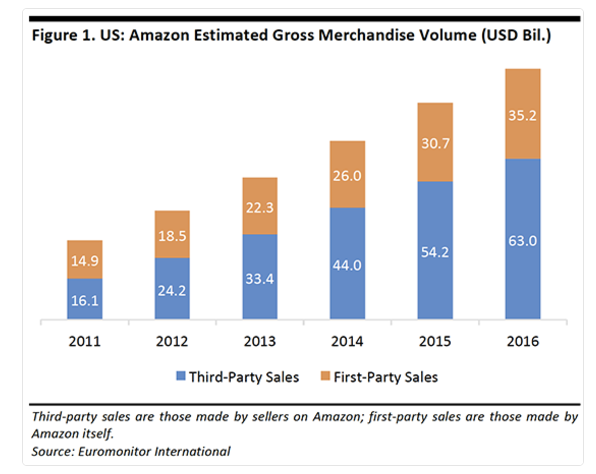 The company that has best captured this to date is Amazon, with its marketplace of 3rd party sellers that now account for 63% of GMV in North America. Through its marketplace, Amazon is able to offer the full endless aisle of products at almost no additional costs, hence driving increased share of wallet and repeat business. Through Alexa, customers don’t even need to browse as products come to them on demand. This is exactly what Nordstrom should consider adopting with this new in-store concept. Remove all product availability uncertainty and free themselves from physical space constraints and conflicts. By enabling the first in-store virtual marketplace, Nordstrom would signal to the struggling retail world that they’re definitely ready for the next chapter of their history. And unlike their peers, it won’t be Chapter 11.